ICO will be in August, 2018. The exact dates will be announced soon. (Update: ICO is live now). The ICO will be on our own exchange TowerX. The default trading fee for trading on TowerX is 0.10%. This will be reduced to 0.05% in case you have sufficient amount of TBE in your account. Important Note: TBE is a utility token and the token holders have no ownership in the TowerBee company. There is no promise of any type of dividend and there is no guarantee of any type of return on investment. This reward program will be known as Honey Bee Reward Program. Participants of this program will have the opportunity to buy TBE at a heavily discounted rate. Some amount of TBE will become a part of the reward program which will benefit the eligible members of the community on daily basis. The amount of TBE allocated for this program will be replenished when it gets exhausted. Participants of Honey Bee Reward Program will have the opportunity to buy TBE at a heavily discounted rate. Participation in this reward program is optional. If you do not want to be a part of this reward program you can inform us to exclude you from this program. By default everyone is included in the reward program if they meet the conditions given below. You need to have the minimum amount of TBE in your account to be eligible to be a part of the program and to get an opportunity to buy TBE at a discounted rate. This is done proportionately, meaning, the more TBE you hold, higher the amount of TBE that you can buy at a discounted rate. The maximum amount of TBE that you can buy at discounted rate will depend upon the amount of TBE that you have in “Available Balance” on TowerX . The opportunity to buy TBE tokens at discounted rate will be given only to eligible holders of TBE. A 0.10% fee will be charged on the rewards that you will receive. You are given the opportunity to buy TBE at a heavily discounted rate by making a payment. The TBE will be credited to your account after deducting the aforesaid fee. We would like to clarify that TBE is a utility token and not a security token. Holding TBE tokens do not represent an ownership or voting rights in the TowerBee company. The previous paragraph that mentions about the reward program is only applicable to certain TBE holders who meet the criteria and not to all TBE holders. In other words, only those TBE holders who have the required minimum amount of TBE in “Available Balance” on TowerX are eligible. There is no guarantee or assurance of profit. This can be considered something similar to a program where company gives some benefit to it’s users having high velocity, for example: frequent flyer program. TBE is a utility token. 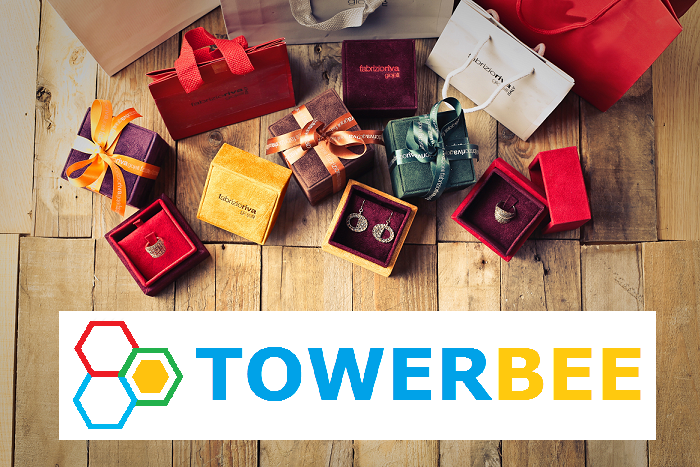 TBE tokens do not represent an ownership or voting rights in TowerBee company. There is no guarantee or assurance of profit. You can refer others to join TowerX using your unique referral code. The referral code will be visible after you register on TowerX website. You will receive 20% of the fees collected by TowerX for the trading done by your referrals. This 20% will be sent to your account instantly as soon as fee is collected by TowerX. Who are eligible and what is the minimum amount of TBE you need to hold? Everyone who has an account at TowerX and holds at-least $ 50 value of TBE are eligible to receive all the benefits mentioned above. How do we know how much TBE is equivalent to $50? Does it change daily? At the beginning of TowerX, $50 is equivalent to 834 TBE, calculated at approx $0.06 per TBE at ICO price. This minimum amount of TBE to be held is calculated every 2 weeks and once calculated, it remains the same for 2 weeks. So, for the first 2 weeks after trading begins on TowerX, everyone who holds at-least 834 TBE will be eligible for the above mentioned benefits. As the price of TBE increases, you will be required to hold lesser amount of TBE to be eligible to get the benefits. But, also keep in mind that lesser the amount of TBE you hold, lesser will be your rewards. So, it is advisable to get hold of maximum amount of TBE to maximize your benefits. I have an open order for buying or selling of TBE in the order book. Does it count in the calculation minimum amount of TBE required? The open orders for TBE are not counted. Only the available balance is taken into account to calculate the amount of TBE based on which you receive your reward daily. On your account at TowerX, you will be able to view your available balance of TBE. What time of the day is the snapshot of available balance taken to calculate the amount of reward? The snapshot of available balance will be taken randomly at any time within the 24 hour period. The time has been kept random to minimize the chances of manipulation by users. The best way is to continuously hold TBE and watch your wealth grow. I have TBE in MyEtherWallet or other private wallets. So do I get these benefits? No, the TBE in your personal wallet is not counted. To receive benefits, you need to deposit TBE on TowerX. This is because your available balance of TBE on TowerX is used to calculate the benefits that you will receive.